The 2018 Ford F-250 marks another year of the truck manufacturer’s highly successful line of high-performance pickups. While the F-150 might be it’s more popular, younger sibling, the F-250 has its own group of loyal owners and followers who crave the extra power and torque this line of truck has to offer. 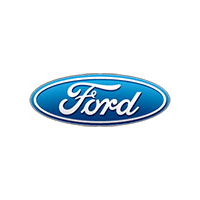 Combined with the same high build quality and exacting standards Ford puts into all of its vehicles, this truck is meant for people who want a long-lasting pickup decades down the road. Like the rest of the Super Duty lineup, 2018 has brought only minor changes and updates to the F-250. As the base model of this lineup, the F-250 offers respectable performance and power including a 385 horsepower 6.2L V8 engine. Diesel lovers will appreciate the 440 horsepower 6.7L V8 version as well. A 0-60 MPH run of 6.9 seconds won’t beat any opponents in a drag race but will be more than enough to haul the cargo you need anywhere you want to go. With rear wheel and all-wheel drive options, new owners will also find this truck to be highly adaptable to different driving conditions. Pricing for the F-250 starts at $32,535. The interior feel of the 2018 F-250 will largely depend on the style of cabin and trim level. The size of the cabin alone will influence the amount of headroom and legroom you will get. Anyone looking to haul more people than just the driver and front passenger will want to look at the larger SuperCab and SuperCrew options to keep the rear seating available to additional occupants. Exterior additions like the optional sunroof will also open up the feel of the interior space if so desired. Regardless of trim or cabin type, the standard interior features will make you forget you are driving a Super Duty. The overall layout of the interior is practical with a standard infotainment system providing easy access to all of the major systems in the truck. The steering wheel is large, comfortable, and places the shift lever right where most experienced truck drivers will expect to find it. The front space offers plenty of accents such as leather seating and surfaces, power-adjustable steering/seating, and optional front/rear seats. The rear space depends on the type of cabin you order with the F-250. In the regular Cab, the rear space is simply nonexistent. The SuperCab adds an additional length that is short on comfortable legroom but does offer plenty of space for tools or smaller occupants. Finally, the SuperCrew adds full length rear seating and doors with legroom of around 44 inches in length. The stylistic accents of the front such as leather seating will carry over to the rear for a unified look. Safety features are a mix of standard airbags (front driver/passenger and side driver/passenger) and enhanced driving aids that increase driver awareness and reaction times while using the vehicle. The rear cabin models also come with standard child seat anchors and optional tether points to secure a car seat into place. Basic assist systems include Ford’s adaptive cruise control and blind spot monitoring to cover the distance between vehicles in front or to the sides of the truck. The cruise control also ties into the forward-collision warning. In parking lot conditions, front and rear parking sensors provide 360-degree awareness of other vehicles. Since you might have a trailer behind the truck, the F-250 also comes with two separate back up cameras, one in the back of the back and another attachable camera for the trailer. The Trailer Reverse Guidance system ties into these cameras to offer feedback to the driver while backing up with a trailer connected. Most of the interior convenience features are optional upgrades. These include smart device connectivity through Bluetooth and Android Auto or Apple CarPlay. Navigation with real-time traffic and weather will offer consistent guidance and updates. For hands-free operation, the F-250 can also be ordered with voice recognition to control all of the major infotainment features. As a Ford F-Series truck, the F-250 has the same basic looks and design features of the F-150, F-350, and F-450. That is to say, it looks beefy with a number of optional styles, trims, accents, and portions depending on the size of the cabin and bed. This also means the truck relies on the same, unique all-aluminum chassis Ford switched over to at the start of this generation to save on weight and fuel performance. The basic design starts with the truck’s signature split grill look and massive Ford badge highlighting the front of the vehicle. Large, stacked headlights combine the standard LED lamps and turn signals into a clean looking design. The hood and engine sit high without drastically taking up too much of the driver’s outside view through the front window. Through the middle and rear portions of the truck, everything is just business. A basic rear window and standard flatbed with heavy-duty tailgate complete the overall design. In 2017, Ford finally introduced the same basic cab sizes as the F-150. Ford markets these options as the Cab, SuperCab, and SuperCrew. The regular Cab option is your basic two door, two occupant setup that minimizes the length of the truck. Moving up, the SuperCab adds a minimal back row without door access. This option is best for extra cargo space or smaller occupants. Finally, the SuperCrew expands the rear row with a full four-door setup so entire families can ride along. Be warned, however, this long cabin combined with a longer bed might rule out parking in sheltered spaces like the average garage. Should you fancy some additional highlights and options, the F-250 has a set of optional exterior features other trucks lack. For example, the optional sunroof will open up the entire interior space with its panoramic length that extends well into the rear row seating area. Minor accent exterior upgrades include chrome plating along the bumpers, cabin steps, and grille. The tailgate also includes the possibility of powered lift and step for easier access to the bed of the truck. There is no mistaking this truck for a smaller pickup or SUV. Ford’s Super Duty lineup is all about power and performance, which means the F-250 needs to kick things off on the right foot for the 2018 model year. Rest assured, it has no problem delivering the specifications most owners need in a vehicle meant for either the daily commute, weekend adventure, or for work somewhere like a farm or construction site. The engine options of the F-250 provide a little something for everyone. The base option includes a 6.2L V8 engine that will offer around 385 horsepower and 430 pound-feet of torque. Combined with a six-speed automatic transmission, this engine utilizes the truck’s aluminum chassis to maximize fuel efficiency. The engine also sports a flex fuel design to accommodate either traditional gasoline, compressed natural gas, or propane. 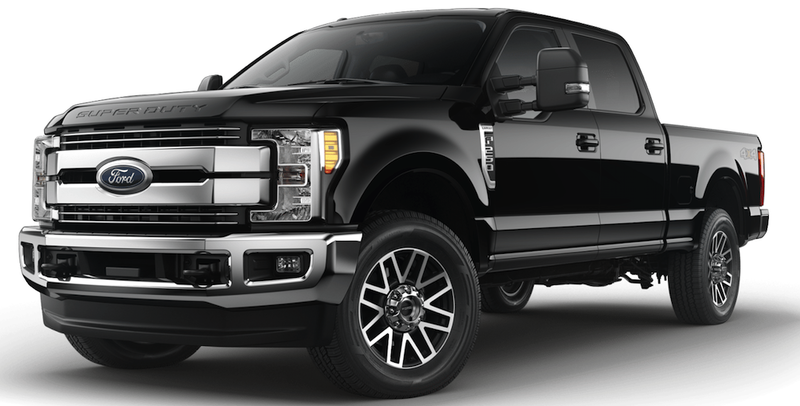 The diesel option uses Ford’s Power Stroke fuel delivery system and turbocharger to keep the noise down while in use. The 6.7L V8 turbodiesel engine provides 450 horsepower and 935 pound-feet of torque. Both engines offer top performance with up to 18,000 pounds of towing capacity, making it a great option in the Super Duty lineup for people who need the towing power without extra frills and options (or weight) of the larger models. 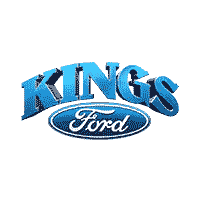 Kings Ford stands for a lot of things as an automotive dealership. You probably already know that we are committed to giving you great vehicle options at competitive prices. Our quality service work speaks for itself. The knowledgeable salespeople and staff members we employ won’t hesitate to show off their commitment to making our customers happy. If you haven’t experienced any of the Kings Ford magic, it’s time to start today. Visit the rest of our website or check out our dealership for information on the 2018 Ford F-250 in Albany, NY or to see how Kings Ford can satisfy your needs or give you quality products and service right away.